Home Health nursing and hospice software generally focuses on the clinical documentation (like OASIS forms) that you need to manage your home health nursing or hospice agency. 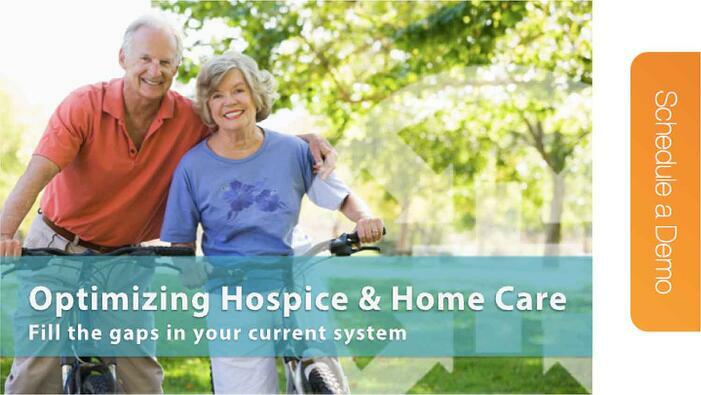 Software like that often leaves gaps in the continuum of care often overlooked by software providers, but Ankota Software for Hospice and Home Health has you covered. Telephony for timekeeping, location verification, and care plan checklist management for your home health aides. Also, as more and more caregivers get smart phones, the telephony functionality can be moved there. Care Transition Management: Ankota has a solution that integrates with hospitals for managing care transitions and avoiding readmissions. If you provide in-home care, you might consider expanding to add this market to your business. We can show you how. Scheduling Management and Route Optimization: Some home health software is weak at scheduling and providing schedule visibility. You can use Ankota's scheduling with your existing clinical documentation systems. Private Duty Management: Many home health agencies are adding private care and program-funded non-medical care services to their portfolio, but their home health software is ill-equipped to handle it. Ankota's private care software can be used to manage this growth opportunity. Home Health Therapy Management Software: Simplify the management of PT, OT, and ST services, including the clinical notes and tricky management of 13th and 19th visit reassessments. Rather than struggling to use your home health or hospice software to support your new models of care delivery and care transition management, consider supplementing with Ankota, and watch your clients and residents thrive from better care.